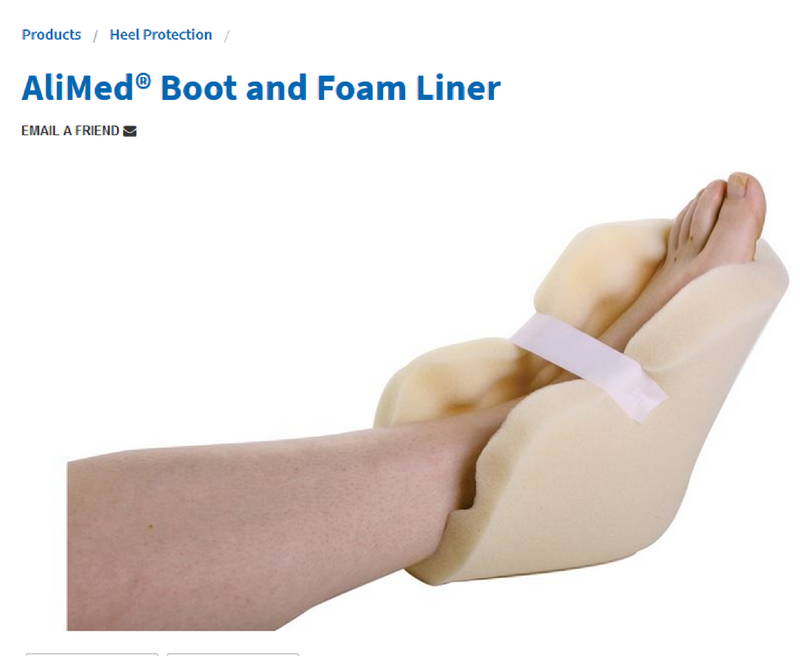 Thread: Will these foam Foot Liners prevent "Foot Drop"? A so-called health care professional gave me a pair of eggcrated foam Foot Liners and told me that they will prevent "Foot Drop." I did a web search and and the foot liners appear to be paired with the following vinyl-covered boots, but I was only given the foam foot liners as a standalone item as Heel Protectors. I'm not sure about his claims, but just by looking at them I have my doubts that these soft foam liners will perform as he said they will. What's you opinion? Thanks! They might help a little for those with flaccid paralysis, but are totally insufficient for those with spasticity. In fact, there are really no boots that will completely prevent foot drop in spastic paralysis. Much better ways to prevent this are to stand at least 1 hour daily, and to wear shoes and properly positioned footrests while using a wheelchair. Thank you SCI-Nurse. Can you please explain the difference between spastic paralysis and flaccid paralysis? As a bed bound person with quadreplegia, my chances of INCREASING (I say that because I think I already have foot drop to some degree, but not as severe as I've seen on other people) foot drop worries me a lot. Last edited by UrbanWheeler76; 08-06-2018 at 10:45 AM. Why are you bed bound? Do you get range of motion (ROM) stretching done daily? Does this include good stretching of your ankles? Do you have spasticity (high muscle tone) or spasms (involuntary muscle movement) below your level of injury? This would be spastic paralysis. Or do you have no muscle tone at all in your paralyzed muscles (flaccid paralysis)? I'm bed bound due to a number of situations, but are nearly 75% self-imposed. I don't like the environment where I live nor the people either. I don't want to socialize with anyone and I've long since been isolated from true friends who I can trust who are not out to steal, scam, or take advantage. Deceitful and predatory relatives have so far been my worst enemies. Being in bed a lot also helps me to rely less on lazy homemakers, too, who seem to be plentiful these days. I just lost the drive and motivation to get out much. Pressure sores take up the remaining 25%. Oh, I do have spasms in my legs. They've slowed down quite a bit, though. I almost forgot about ROM...which I don't do! I need to rig something up so that I can do it independently because I can't really count on anyone else to help me with that. Great info SCI-Nurse, thank you very much for sharing it with me. I found a pic of myself sitting in my w/c about a year ago, and this currently looks like how my feet rests on the foot petals. IMO the foot drop doesn't appear too bad, and the adjustable petals helps to accommodate whatever degree of foot drop I do have. I'm hoping that not only would the boots you've recommended prevent further droppage, but through independent ROM, I can also reverse those affects shown in the pic. 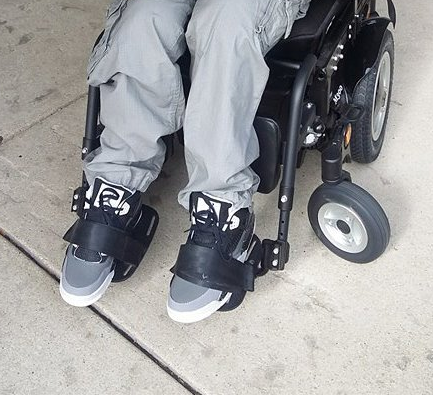 I plan on getting a light weight manual w/c sometime in the fall, and I think my existing foot drop will look much more worse and obvious if said chair does not come with adjustable petals. You do have (from the pictures) some foot drop already, and that may or may not be reversible with boots and ROM. Is there any possibility of your getting and using a standing frame? This is one of the best ways to correct and prevent foot drop. I will need to find out who exactly do I consult with regarding a standing frame because at the present time I don't have access to any Physical Therapists. Maybe my visiting physician (who comes over to my apartment once a month) can make it happen...I dunno. Since starting full-time work with a longer commute I've had to cut back my standing time...but now I have to rethink that. Sewing machine "foot" petal alternative? Will these boots prevent foot drop?